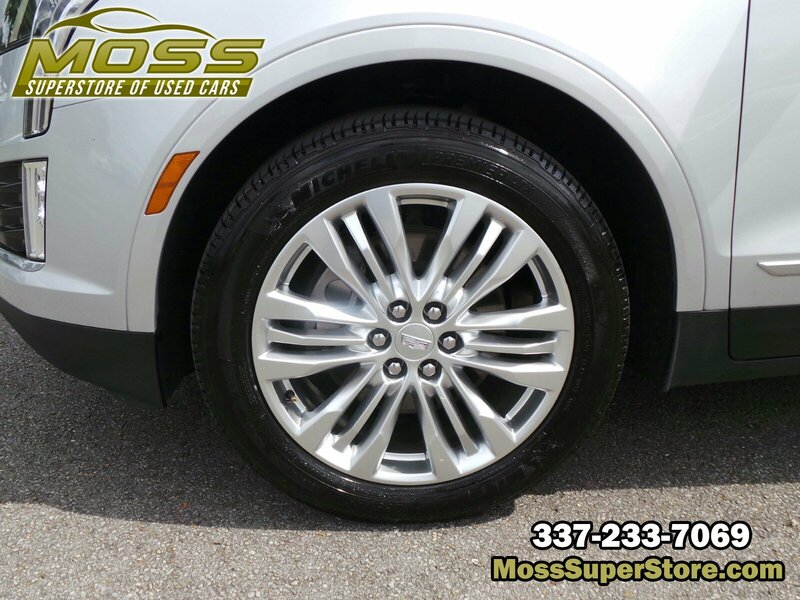 WHEELS, 20 X 8 (50.8 CM X 20.3 CM) STERLING SILVER PAINTED FINISH (STD), TRANSMISSION, 8-SPEED AUTOMATIC (STD), TOOL KIT, ROAD EMERGENCY, TIRE, COMPACT SPARE includes lateral cargo net, SEATS, FRONT BUCKET INCLUDES 8-WAY POWER DRIVER SEAT ADJUSTER (STD), RADIANT SILVER METALLIC, PREMIUM LUXURY PREFERRED EQUIPMENT GROUP Includes Standard Equipment, JET BLACK, LEATHER SEATING SURFACES WITH MINI-PERFORATED INSERTS (With Lunar Brushed aluminum trim. 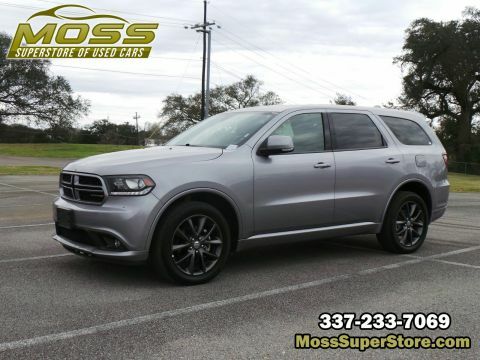 ), ENGINE, 3.6L V6, DI, VVT, WITH AUTOMATIC STOP/START (310 hp [231 kW] @ 6600 rpm, 271 lb-ft of torque [366 N-m] @ 5000 rpm) (STD), CARGO NET, LATERAL MESH. 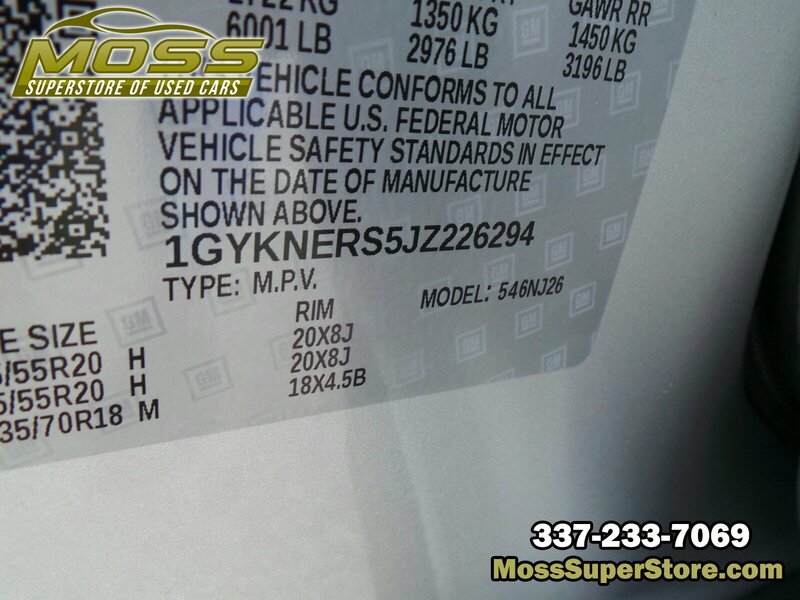 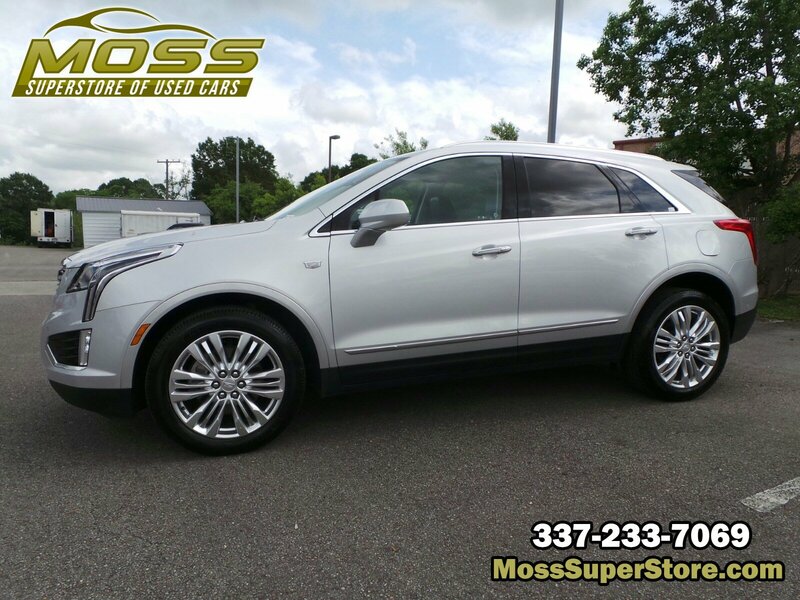 This Cadillac XT5 has a strong Gas V6 3.6L/222.6 engine powering this Automatic transmission. 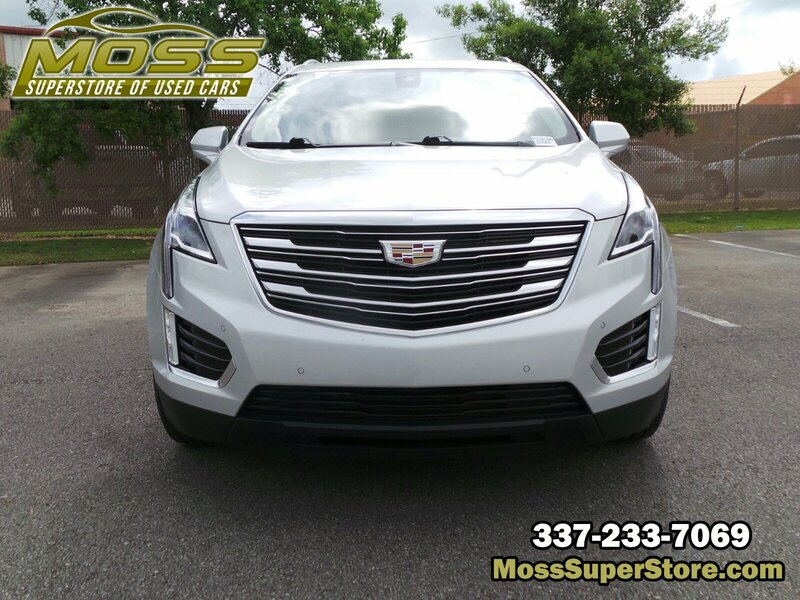 * Experience a Fully-Loaded Cadillac XT5 Premium Luxury FWD *CADILLAC USER EXPERIENCE WITH EMBEDDED NAVIGATION, AM/FM STEREO with 8 diagonal color information display, four USB ports, two auxiliary power outlets, auxiliary input jack, Natural Voice Recognition and Phone Integration for Apple CarPlay and Android Auto capability for compatible phone (STD), Wireless Charging (The system wirelessly charges one PMA- or Qi-compatible mobile device. 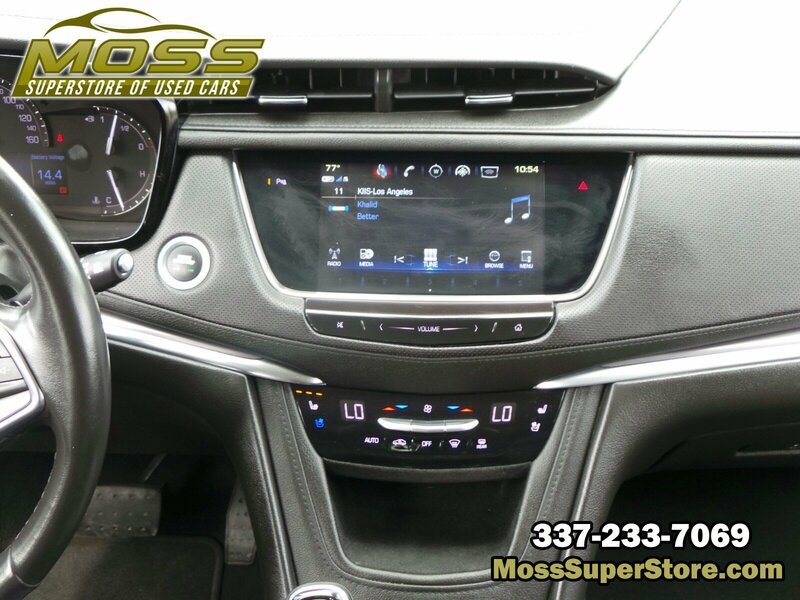 To check for phone or other device compatibility, see my.cadillac.com/learn. 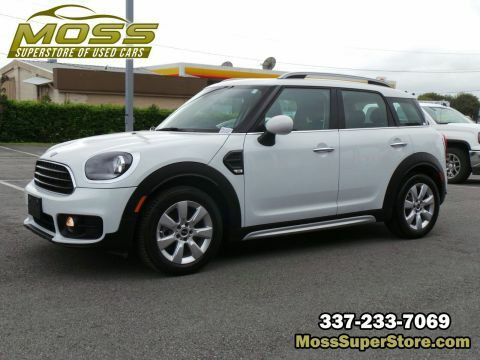 ), Wipers, front intermittent, Rainsense, with moisture detection, Wiper, rear intermittent with washer, Windshield, acoustic laminated, windshield and front door glass, Windows, power front express-up and down rear express-down and comfort open (auto express down via key fob), Wheels, 20 x 8 (50.8 cm x 20.3 cm) Sterling Silver painted finish (Upgradeable to (SLV) 20 x 8 Ultra-bright machined faced wheels with Midnight Silver accents. 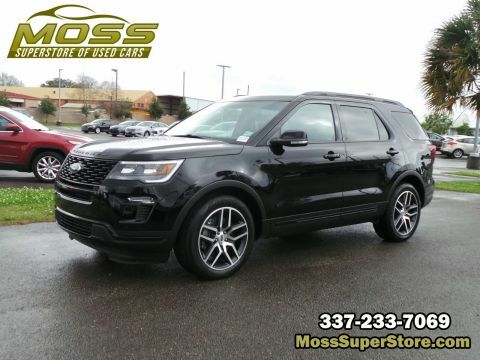 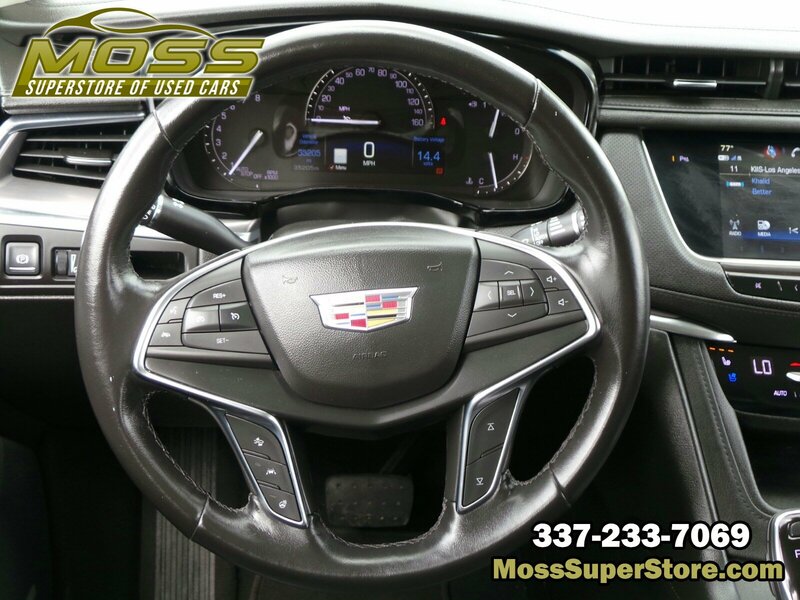 ), USB ports, 4, plus 2 auxiliary power outlets, Universal Home Remote includes garage door opener, 3-channel programmable, Transmission, 8-speed automatic, Traction control, full-range, powertrain and brake modulated, Tires, P235/55R20 all-season, H-rated, blackwall, Tire pressure monitoring system, Tire inflation kit (Deleted when (ZCD) compact spare tire is ordered. 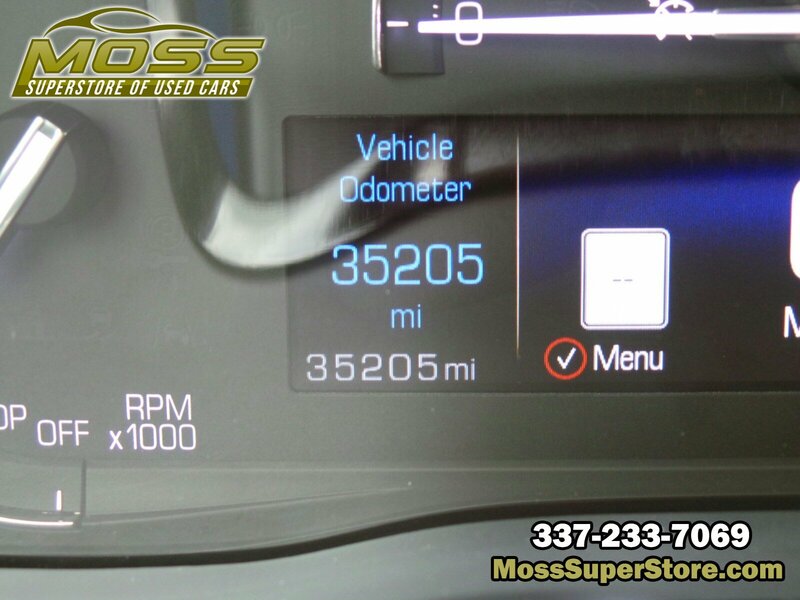 ), Switch, Drivesense system, Suspension, Performance, driver select modes, Sunroof, power UltraView double-sized glass roof that opens over first row, tilt-sliding with Express-Open and power sunshade, Steering, Electric Power Steering (EPS) assist, Steering wheel, leather-wrapped, Steering wheel, heated, automatic. 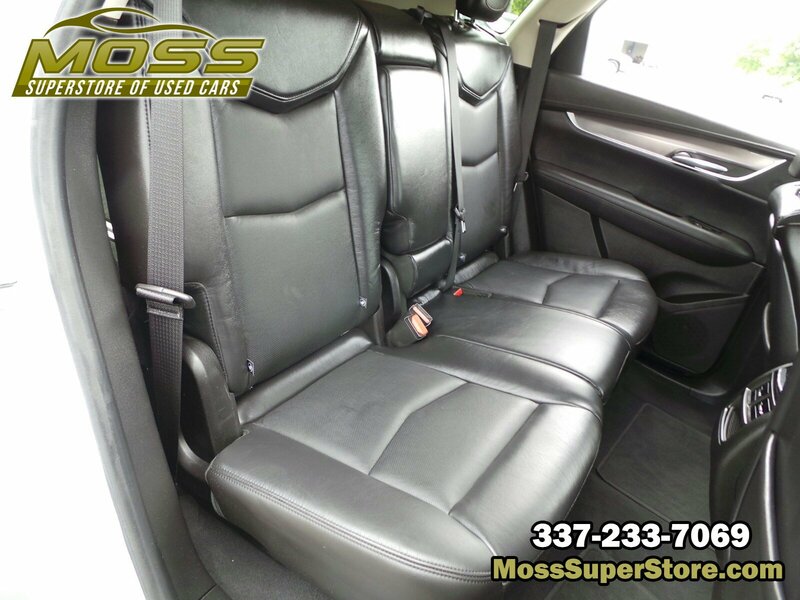 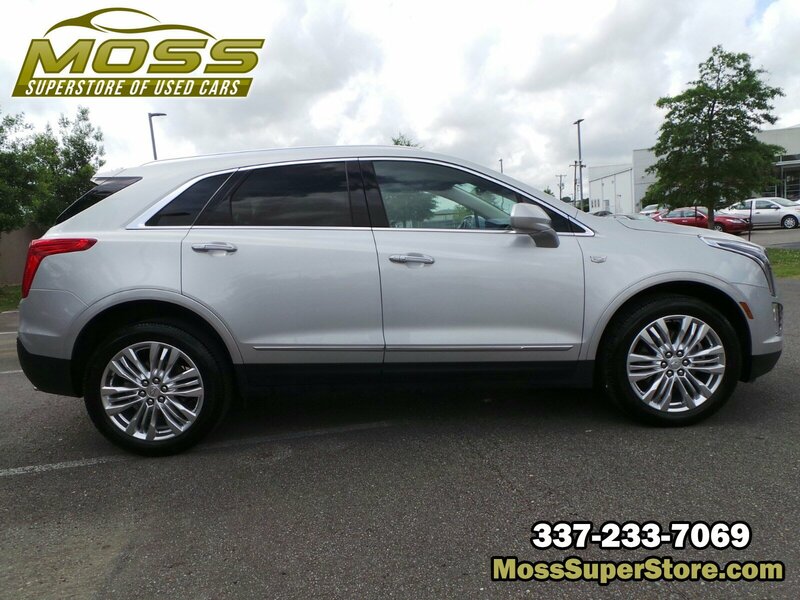 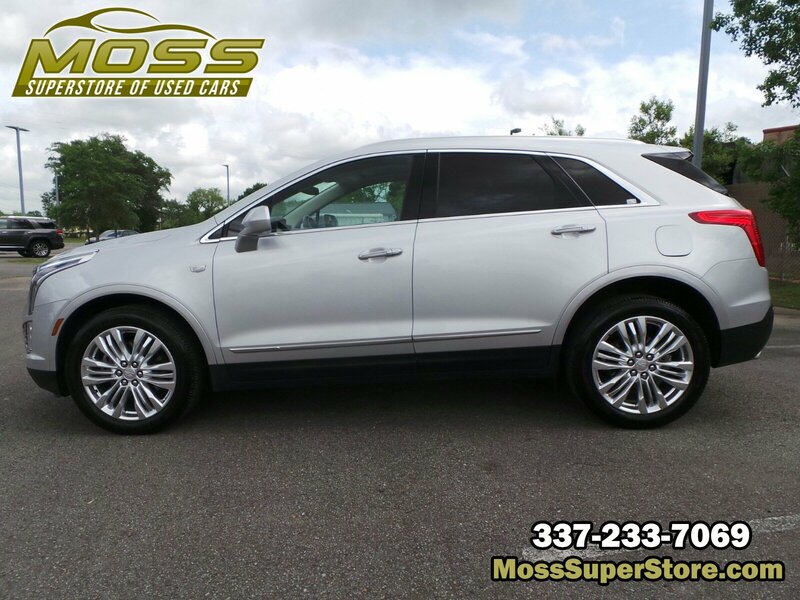 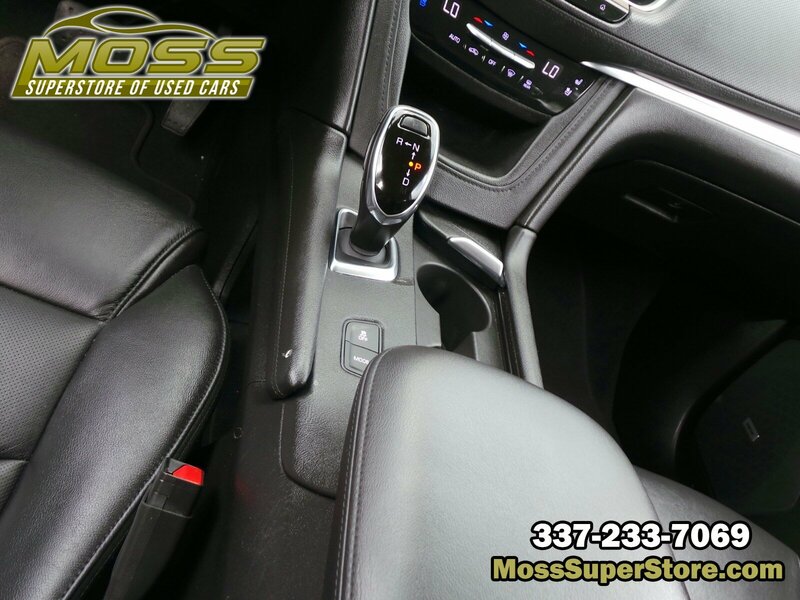 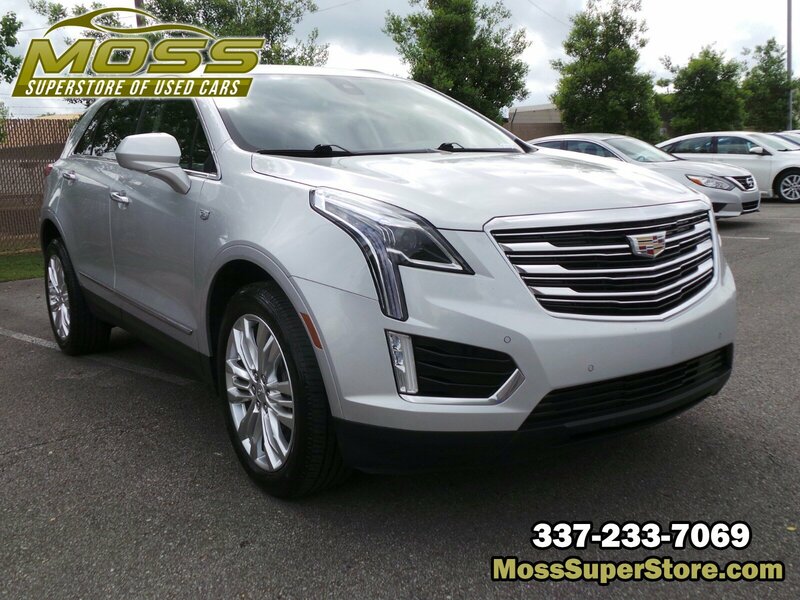 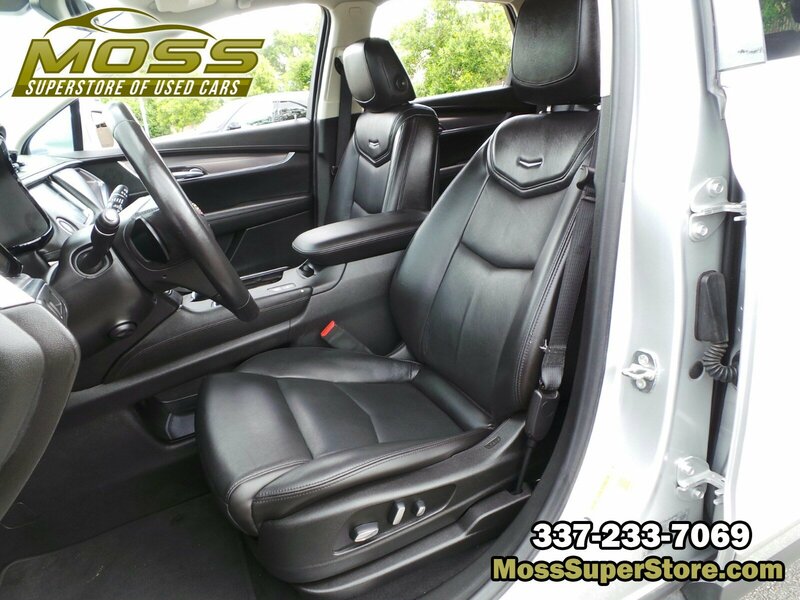 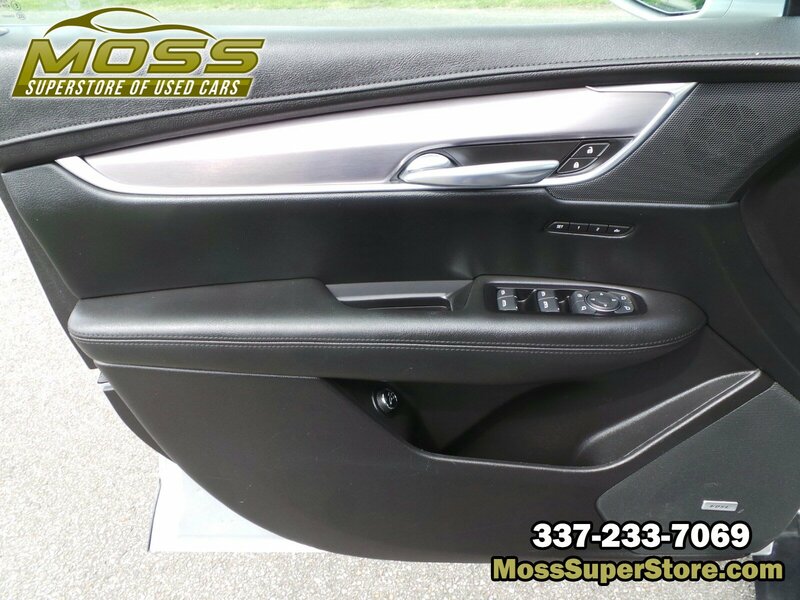 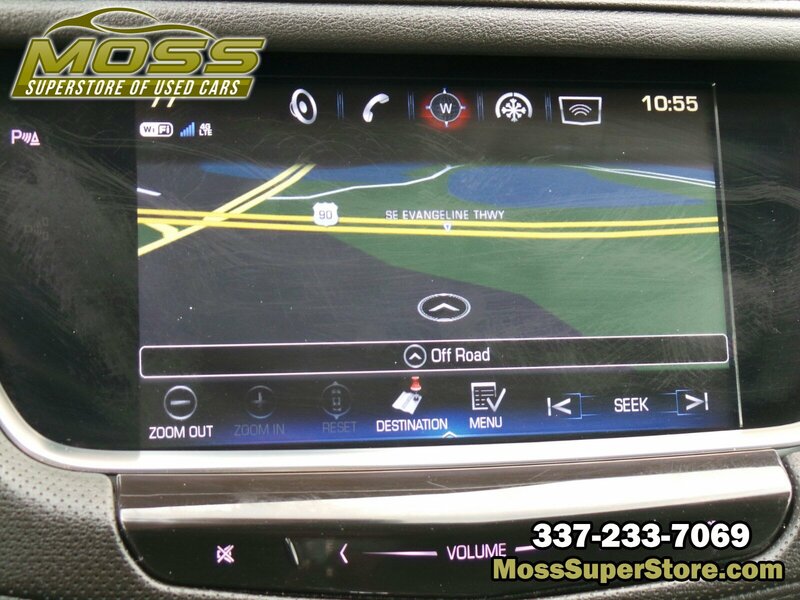 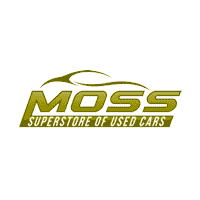 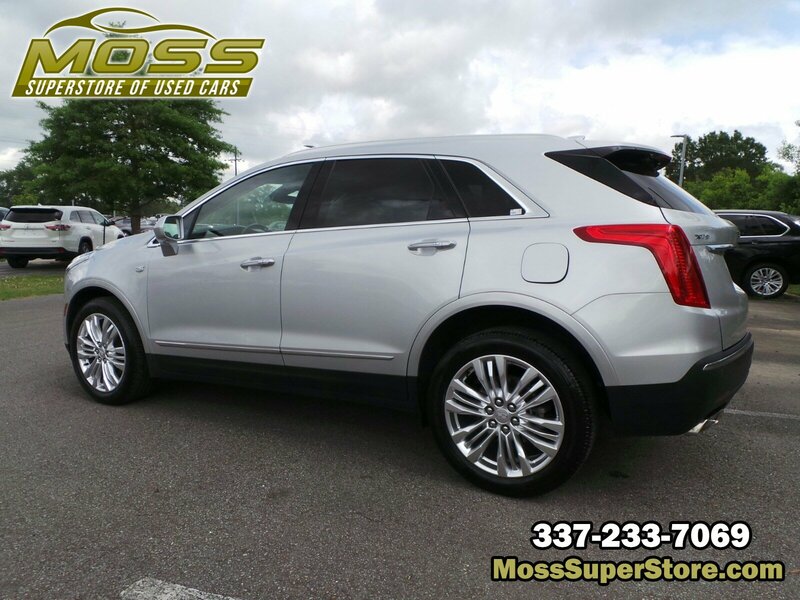 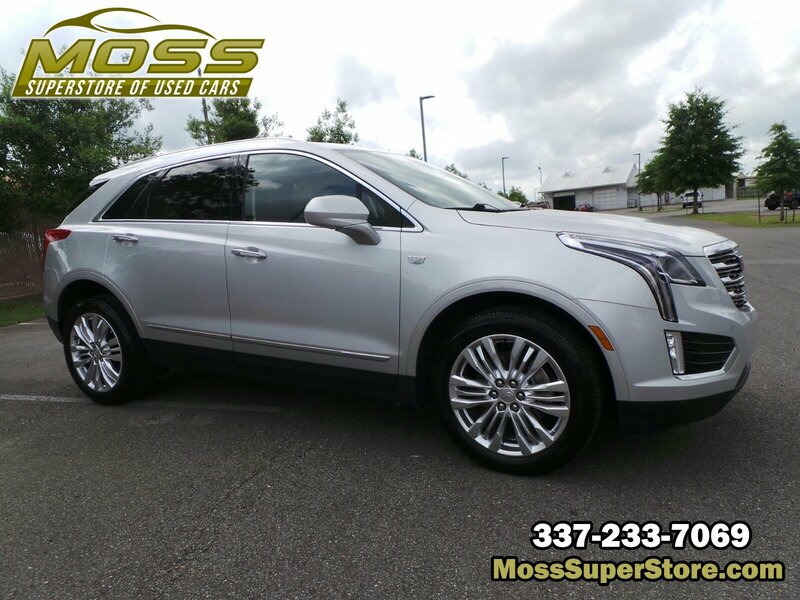 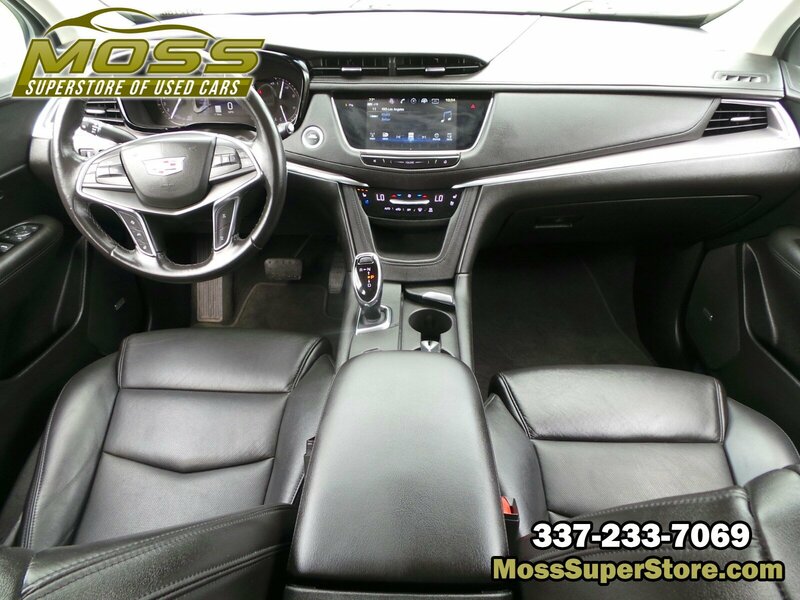 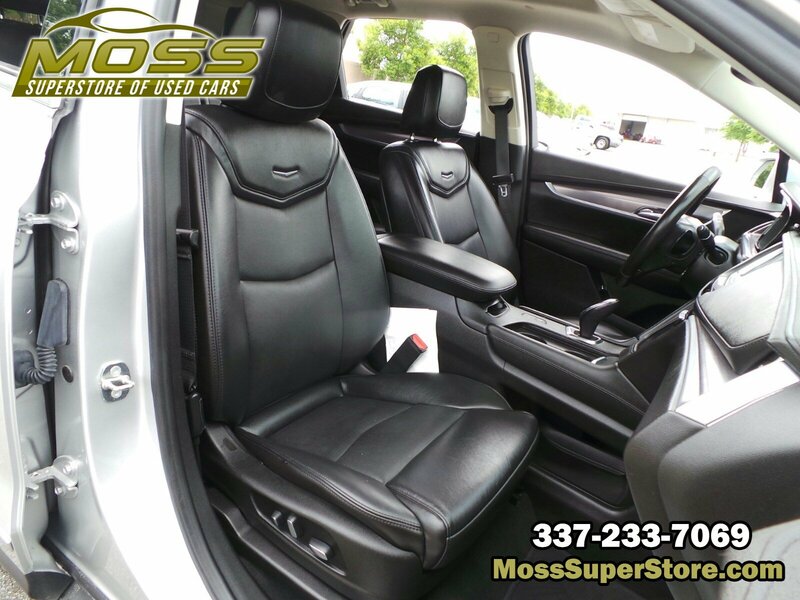 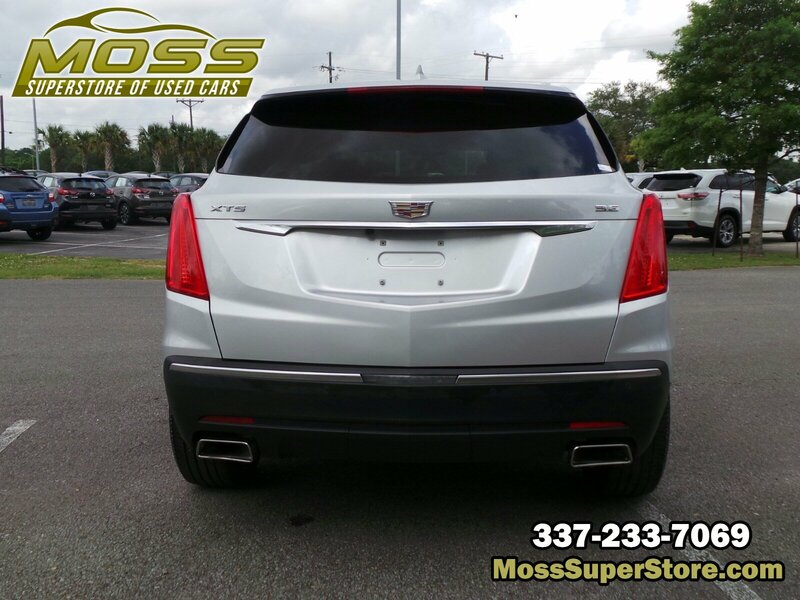 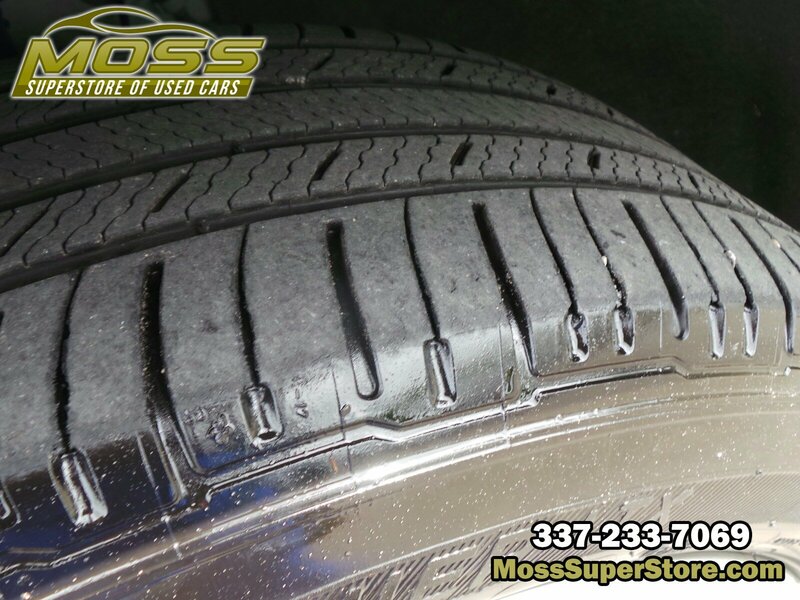 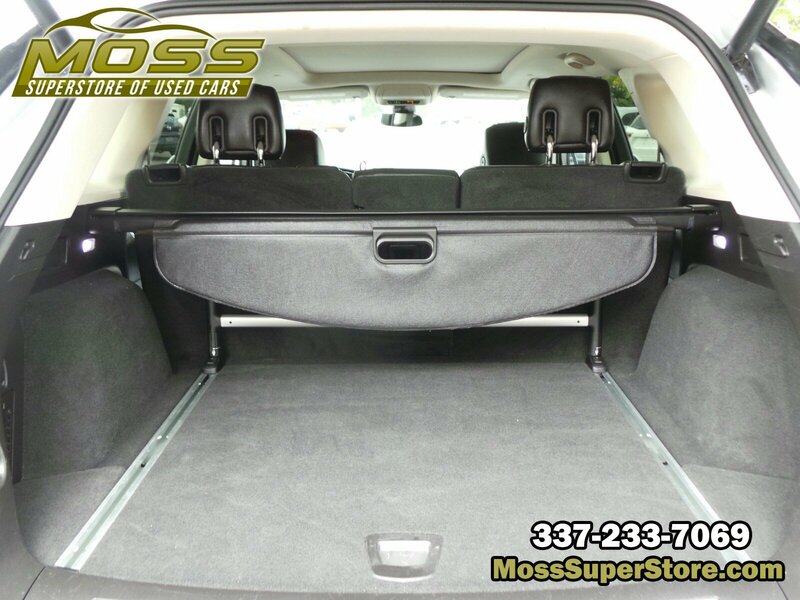 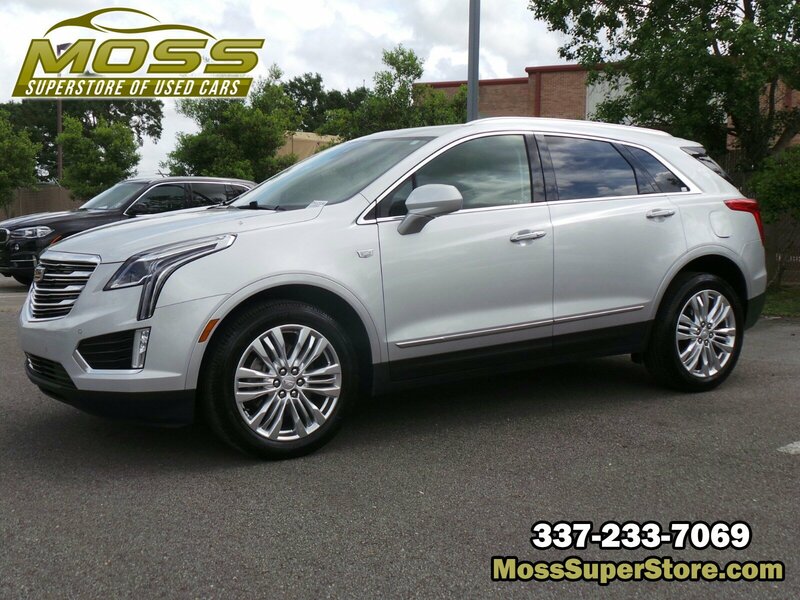 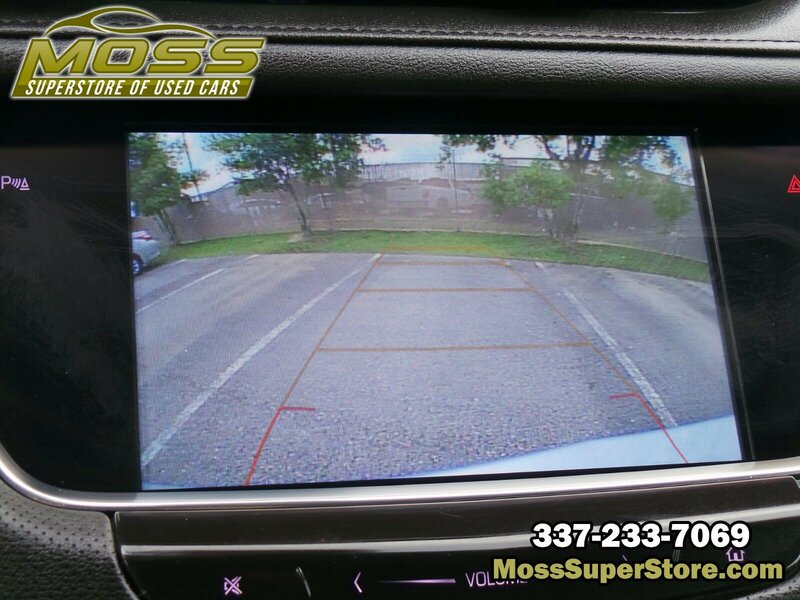 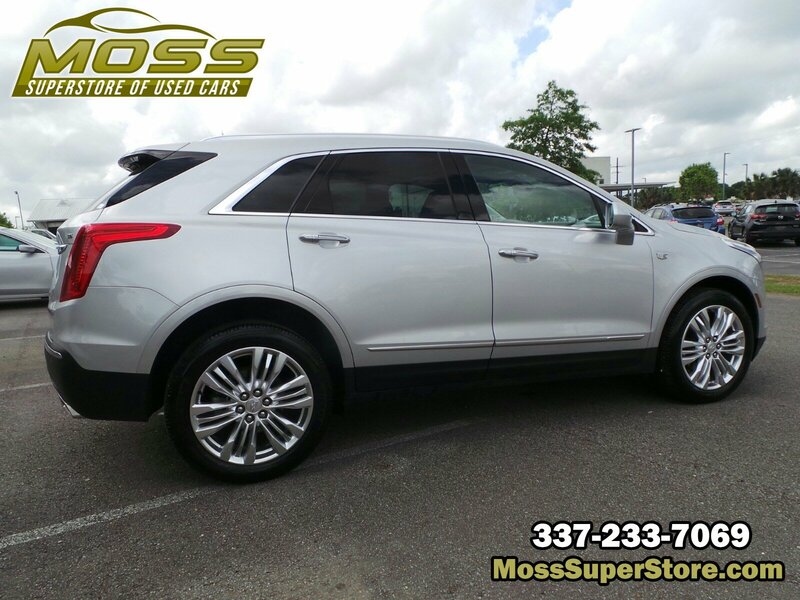 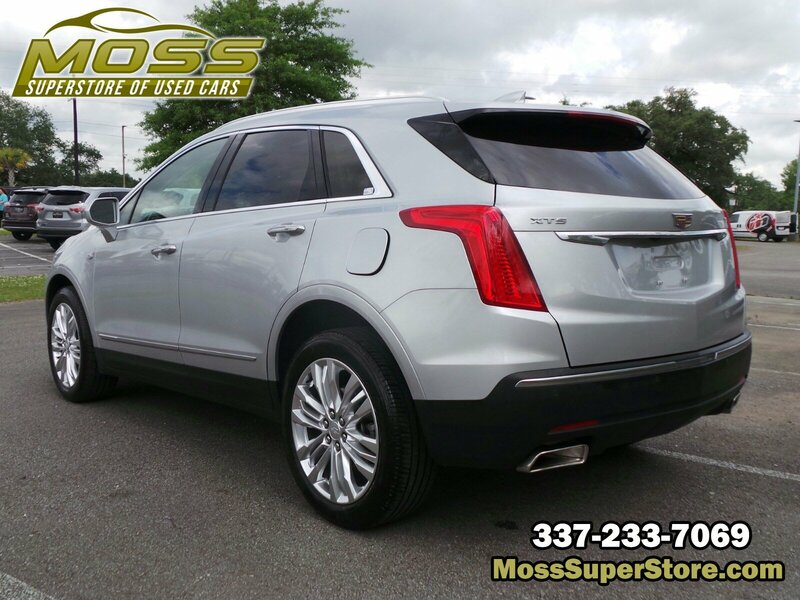 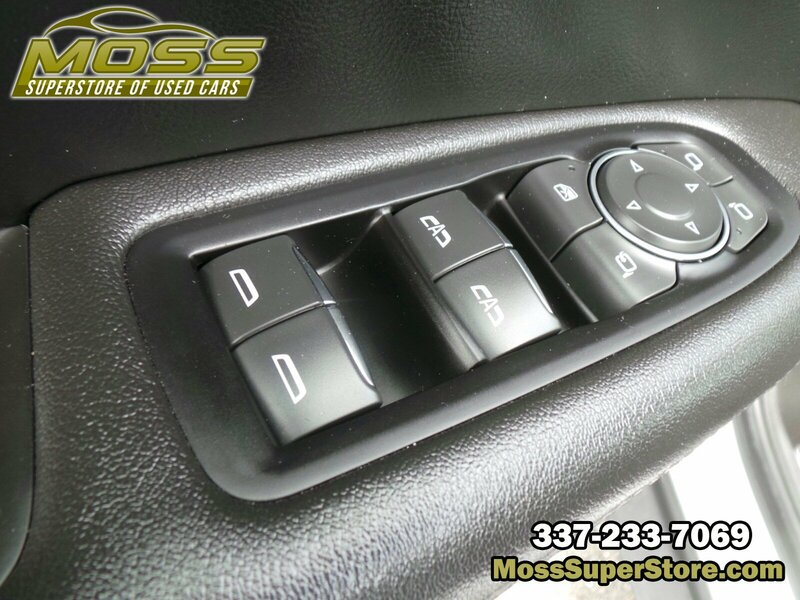 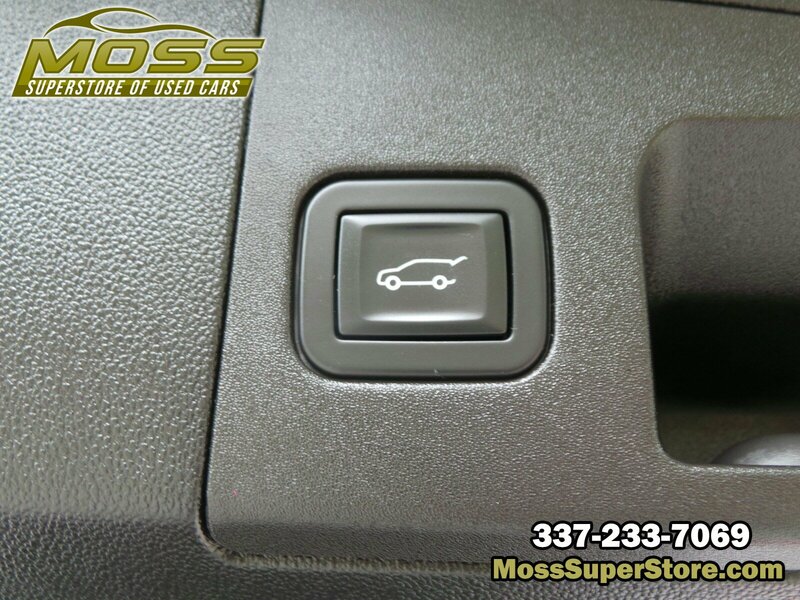 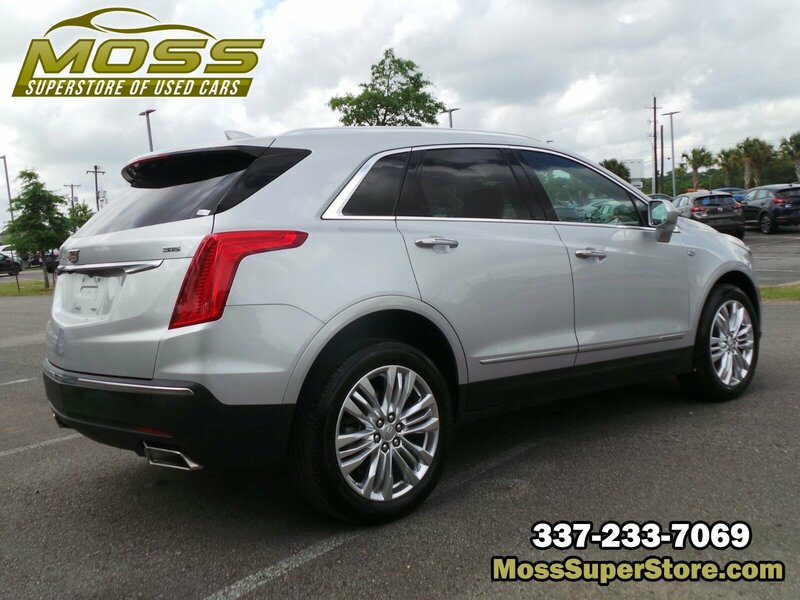 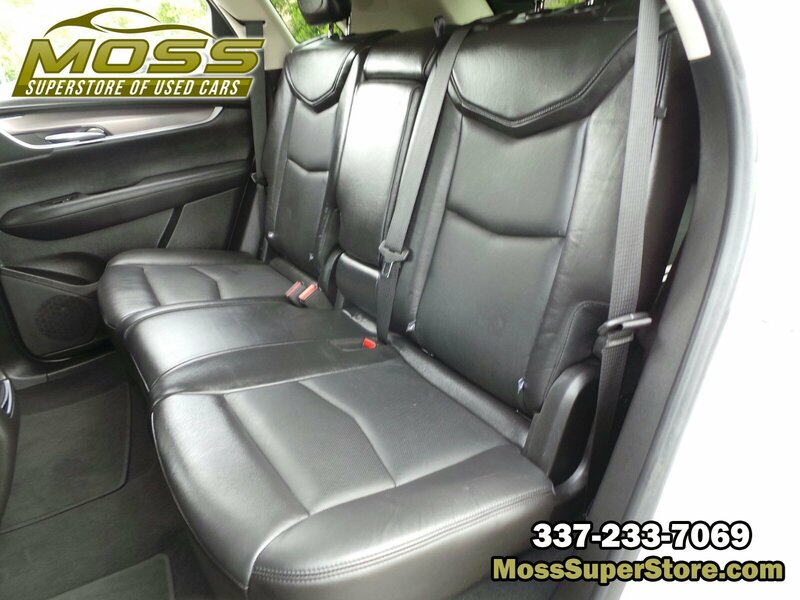 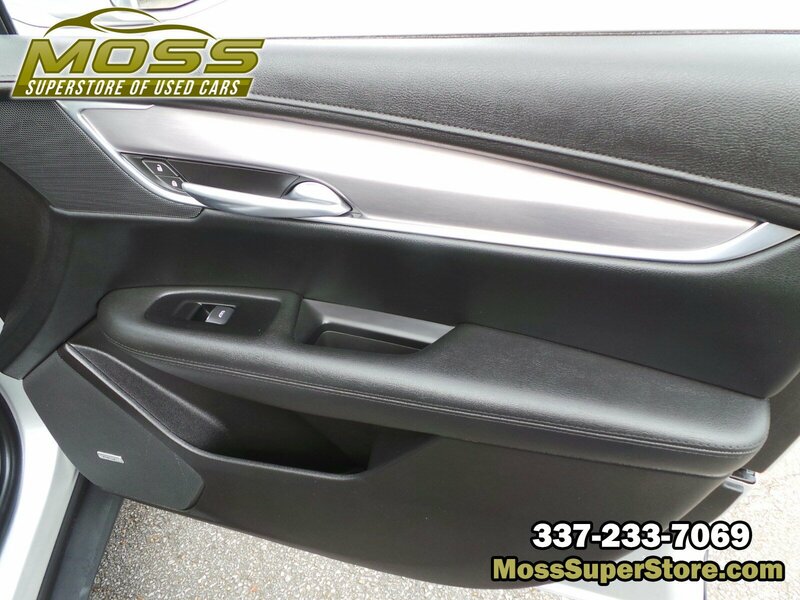 * Stop By Today *Come in for a quick visit at Moss Used Super Store, 1545 SE Evangeline Thruway, Lafayette, LA 70508 to claim your Cadillac XT5!